Continuing the design philosophy from the first set, rulers will not be included within New Valhalla's second set "The Strangers of New Valhalla". 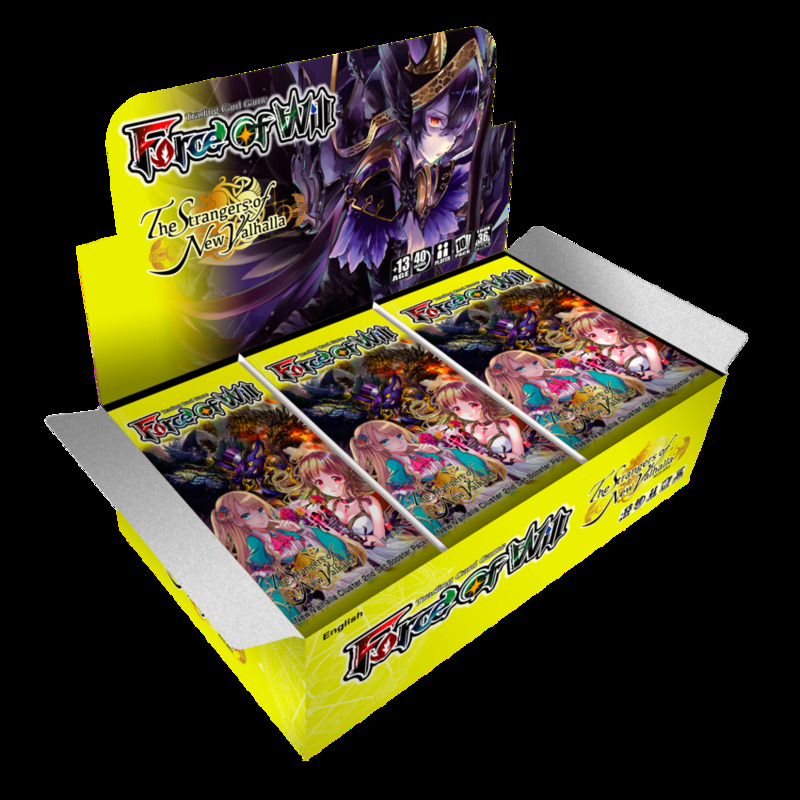 The card distribution rate will also take after the first set, being easier for players to collect four copies (a playset) of necessary cards. 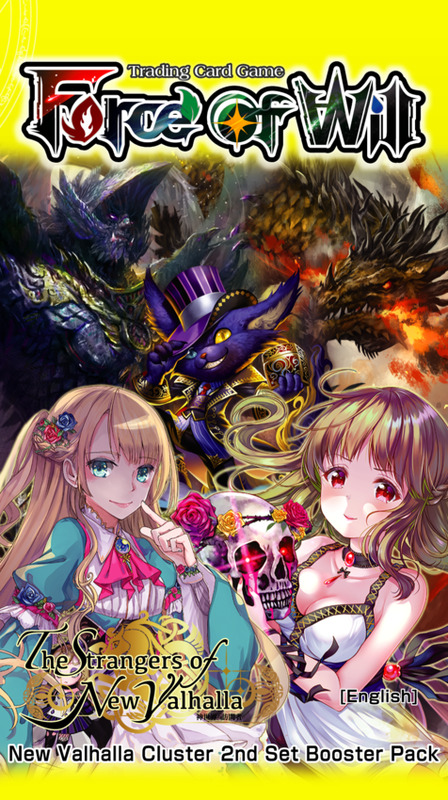 As for characters, everybody's beloved Alice will be making a long-awaited reappearance. Also making a reappearance will be the newly unsealed Athenia, a character undoubtedly familiar to long-time veterans of Force of Will. What battles lie in wait for these two girls?